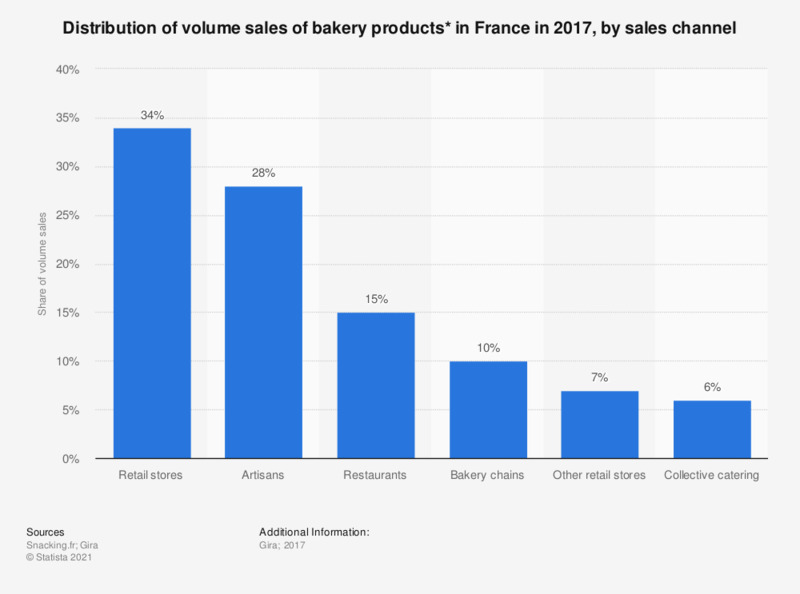 This graph displays the distribution of sales volume of bakery products in France in 2017, by sales channel. It appears that 34 percent of bakery and pastries volume were sold in retail stores, while 28 percent were distributed by artisans. * These are the "BVP" products in French: bakery, viennoiseries and pastries. Statistics on "Bakery products in Belgium"